Remember this is a hobby project, so it may take a couple of weeks to assemble your cart. Check out the buy page if you want to order one. Enjoy this video of the unboxing and printer self test. When I get time I will add some printer demos to the multicart. We've always had a long term plan to clean up and release the SC-3000 tape software into the wild. We've finally started with Vortex Blaster and The Secret of Bastow Manor. The new run of SC-3000 Multicart PCBs is here, and we have some very cool new labels for the cart cases. We are very excited to announce that Revival Studios is now accepting orders for Astro Dodge, a new cartridge game for the Sega SC-3000 / SG-1000. To cut a long story short, we can now make our own awesome SC-3000 Survivors Cartridge cases, and all Multicarts ship with a case! Check out how we did it. The Multicarts all ship with a couple of labels. But here is a PDF label sheet if you want to print your own. The User Manual is now available. It includes common stuff like a Quick Start Guide and Caring for your Cart as well as more detailed information on the Multicart Architecture. Check it out. Labels? We don't need no stinking labels! We shipped out the first two production multicarts on March 2. Thunderbirds are go! We've just found two classic titles that haven't been seen in 25 years. Check out the latest video showing the Deadly Jewel of Antark and Satellite Salvage. We're making good progress and it looks like we should hit that 1 March shipping date. Here are our recent achievements. Good news - the new SC-3000 Multicart PCBs are here! We have some more tweaks to make to the cart software, but we will start shipping these on 1 March 2012. Happy New Year Everyone! We're in the process of confirming the Multicart PCB order with Futurlec and we've added the Sega / Grandstand Music Cart Demo Cassette tunes to the Music Editor on the multicart. SMSPower released a dump of Xevious for the Korean Gamboy / Master System clone. But since this runs in legacy mode I wanted to try it on the Sega SC-3000. The original ROM has a couple of errors that stop it working properly with the TMS9929A VDP, but I fixed those. Enjoy! 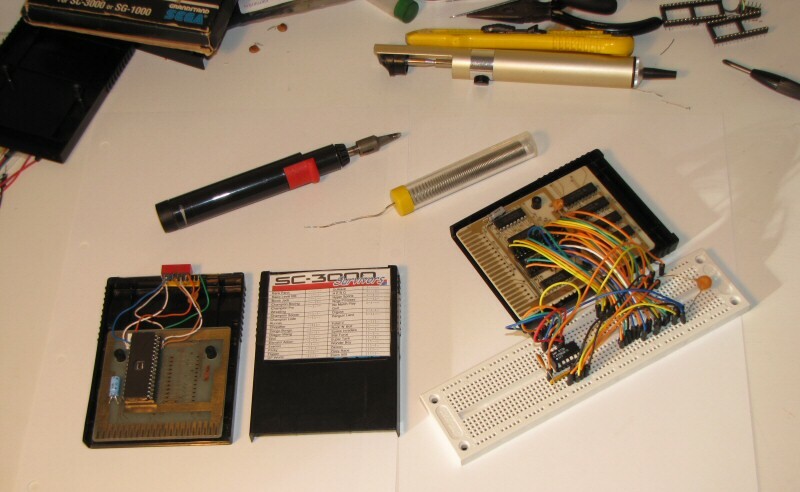 These pages are dedicated to designing and building home brew Multicarts for the Sega SC-3000. 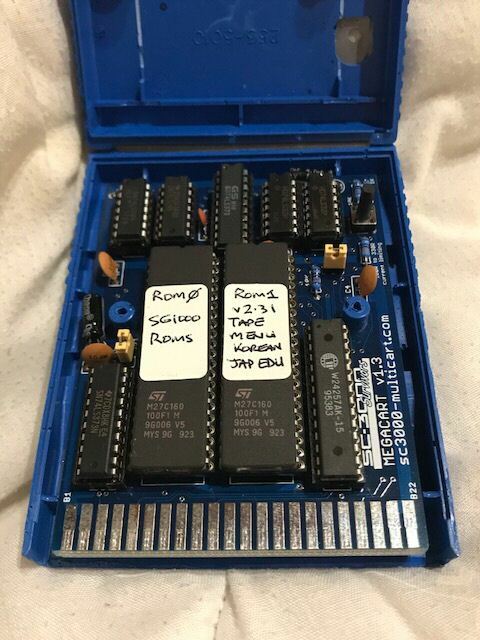 We have instructions on how to build your own 32-n-1 Multicart and we will periodically update with new ideas we are working on. This site is a work in progress, so let us know what you think. We take no responsibility for any damage caused to you, your property, your favourite cat, dog, pet bird, Uncle Bob, or Aunt May by the use or misuse of the information contained in the SC-3000 Survivors Multicart Project. We've done our best to come up with a project that is relatively safe and simple, but everything you do is at your own risk.